Massimo Magee has been making all sorts of visual and audio artworks for a while. 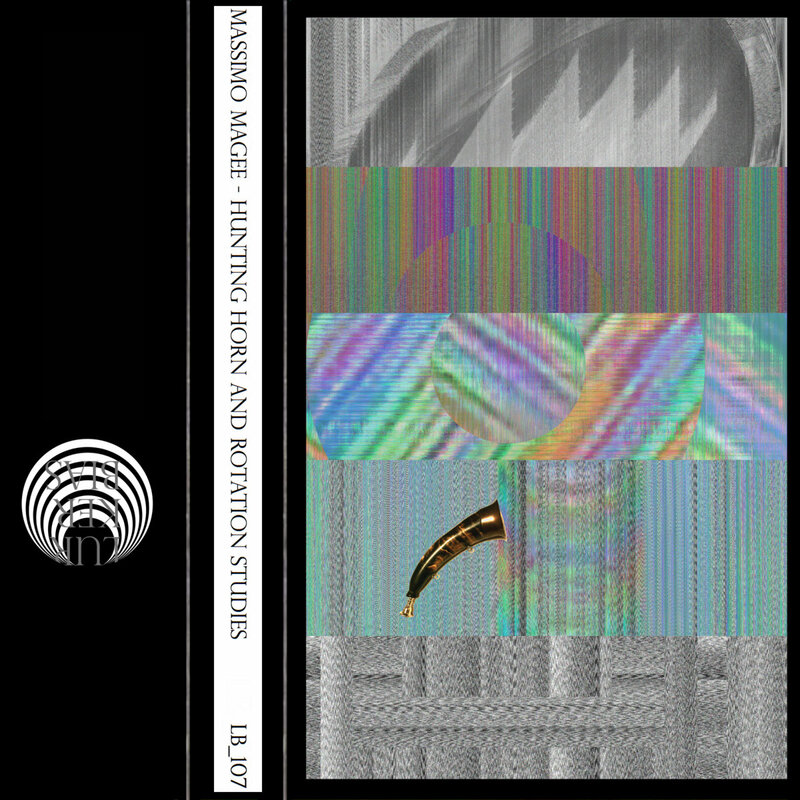 In his latest listening project, Hunting Horn and Rotation Studies, Magee mines the minimalistic. 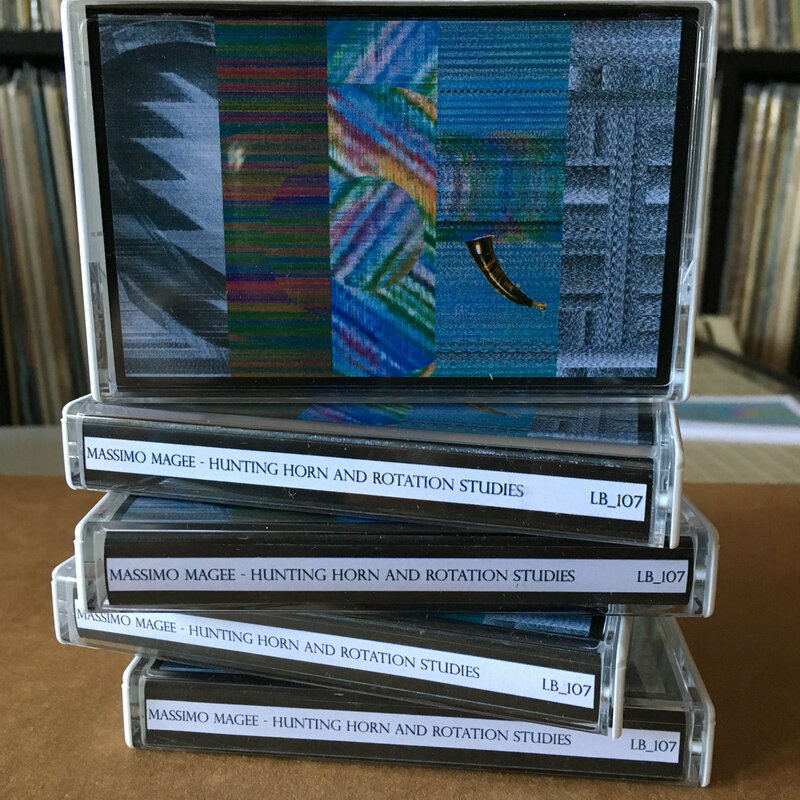 The album is presented in five “studies,” each being a variation on a main theme of what appears to be audio deterioration. For example, “Study I” is comprised of the sound of heavy tape hiss with an intermittent radio transmission cutting in throughout. As if the broadcast was being picked up on some faraway A.M. station. “Study II” features more hiss/radio white noise what slowly builds to a moderate crescendo before fading away. “Study IV” and “Study V” sound like what can best be described as the sound of a CD skipping, minus any musical sounds. “Study V” takes the same formula and makes it a bit darker by adding some creepy sounds laden with echo that make it feel like you’re listening to some broadcast originating from catacombs under the street somewhere. “Study III” concludes the album with more nightmarish underground sounds with what first sounds like electronic buzzing but then morphs into the sound of what old film reels sounded like when they would get off track and then reach the end and start slapping about until someone turned it off. Sort of like the sound at the end of Bowie’s “It’s No Game (Part 2)” but with the extra stuff going on in the background. This album reminds me of the great film Decasia wherein old deteriorating black and white film stock was slowed down to allow the viewer a surreal experience. The white noise aspect of some of the cuts make for fine sleepy time listening, while the darker studies will keep your attention all the way through. An excellent work through and through.